I LOVE to saw/pierce and especially like teaching others the joys of sawing as well. You can learn in one evening what took me months. Every one of my students walks away with a piece they are proud of ... or should be proud of... we can all be too hard on ourselves sometimes. 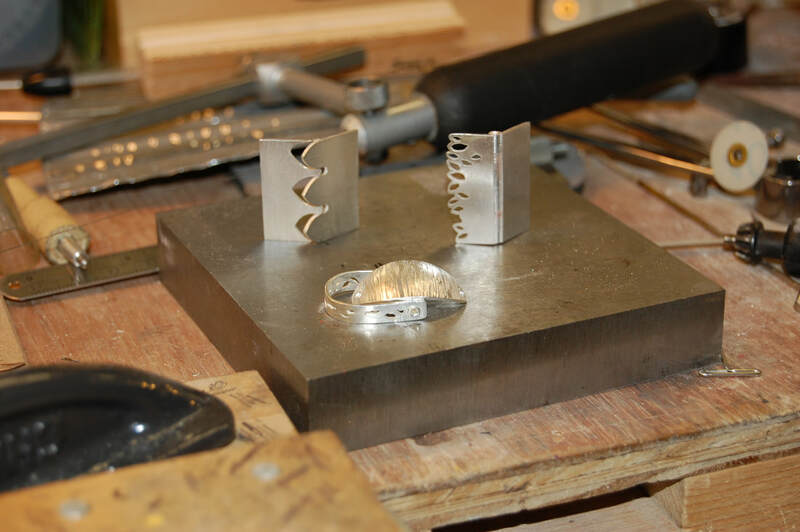 Its a great class to catapult your skill level and remember, a jewelers saw is not just for fancy stuff... you'll need it to cut hand-made jump rings, tubing and very heavy wire stock. 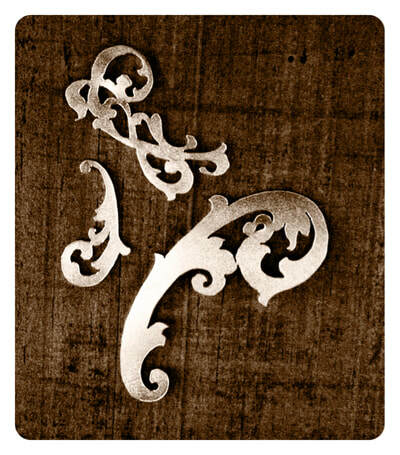 You mean I can use this simple very economical tool to create intricate gorgeous designs in metal? I'm in. With candy-coated dreams of perfectly carved fluid forms and shapes, I bought my first jewelers saw. It was a matter of moments after bringing this deceptively simple tool home that I was faced with the reality of how little I knew about the saw or exactly how to use it. It wasn’t long before I became entirely frustrated and convinced that sawing metal might be beyond my grasp. I quite literally hated picking up the darn thing and resented its “implied” simplicity. It was clearly anything other than simple. Its not like sawing wood… AT ALL! And I couldn’t find a class or video anywhere that explained the process in detail. That was over ten years ago mind you. Now there are hundreds. I've since made friends with my saw and it has become one of my favorite tools. What I like best is the Zen-like place my mind enters when sawing (piercing)... its just me and a very basic hand-tool that allows me to create designs to drool over. In that vein I’l like to share my top tips and tricks for sawing and piercing like a boss. Have fun and maybe join me for a class or two! #1. My number one tip is to RELAX. Go for a walk, do some stretches, deep breathing … tension in your body or mind hinders successful sawing. Tension = broken blades, uneven strokes, poor steering, muscle and back strain. So take a moment and let some zen in. #2. Posture is peace. When you sit with good posture, your weight is balanced, your muscles and joints are engaged but not straining and this leads to easier sawing. Sit at the front of your chair, back straight, shoulders back, open your legs for balance, feet flat and firm on the floor… no stooping, crouching or bending, don’t cross feet or legs. My Grammy taught me that ladies never sit with their legs open but in this case, Grammy would give me a free pass… I’m sure yours would too. #3. Don’t push. LET THE BLADE DO THE WORK. Its not in your bicep or grip. Yea, I know you have to push a little but when I’m teaching newbies I tell them whatever you do, don’t push, trust me. Remember sawing wood?? You push right? Well, this is metal. No amount of pushing is going to move that blade into the metal faster. In almost every class, after repeating to exhaustion “Don’t Push”, inevitably a student exclaims, “Aha!” They look over their shoulder at me with a big ole smile and add, “I get it”. When you let the blade do the work, everything comes together nicely. #4. Tight turns or corners. You can't force them. Turning the blade isn't going to work, especially with something 45° or more. You'll just bend the blade and then SNAP, broken blade. So how to turn? How does a marching band take tight turn? by stepping in place and slowly rotating till they are facing the desired direction then off they go. Same with the blade. up and down in place. I even tend to pull backwards a little. With tiny adjustments, slowly turn the blade in the desired direction. Eventually the blade will be facing the right direction and off you go. #5. Use the whole blade. Nice long even strokes, up and down, top to bottom. These are the most efficient strokes, wear down the blade evenly and produce the less heat and friction. Keep the blade perpendicular to the metal. I like to tell students to think like a sewing machine needle. #6. Lubricate. So very important!!! You'll cut faster, break blades less often and it actually sounds better. I use a burr lube designed for jewelers. Some use wax crayons or winter green oil. Whatever works best for you but use it. ​shaped into a hollow form. 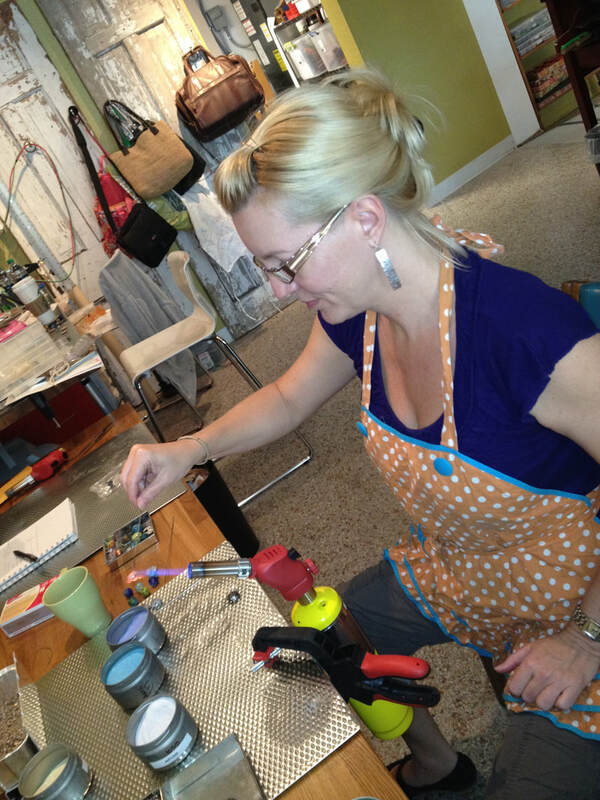 What does an aspiring silvermith, metalsmith or metal arts jeweler need to get started? I get asked this question a lot so I thought I’ld put together a list of tools specifically for beginners... the basics and things to consider as your interest grows and skills expand. Jewelry making and metalsmithing are not inexpensive crafts and there are a lot of us on a budget. Sometimes this industry reminds me of the wedding industry. Add the word “wedding” on anything and its immediately more expensive. It works the same in the jewelry making industry... just add the word “jeweler” andthe tool is twice what a garage mechanic is charged for the same item. Don’t get me wrong though, there are a lot of amazing tools made or modified specifically for jewelers that will become your new best friend in the shop and worth every penny. If you want to drool a little, I recommend browsing Rio Grande, Otto Frei, Contenti or FDJ. I go to FDJ a lot because they are just round the corner, so no shipping charges, offer 10% discount for most tools for FSG members and I can peruse the products up close and personal. It is hard to know what to buy, when to buy it and where to buy it to get the best deal. Many jewelry making supply stores provide kits. This makes the buying process very easy and could save a lot of time and even money by avoiding the never-ending task of hunting for bargains. However, I found that most of the kits contained items I didn’t need, could do without or could buy for a lot cheaper at hardware stores and thrift stores. I started as a beader so in my case I already had a toolbox and a garage full of tools. My list is categorized so you know exactly what you are using each tool for. I’ve included some suggestions for using household items instead of specialized tools that will work just fine until you can afford to upgrade. Depending on your level of commitment and your budget, try shopping at a local hardware stores first. The tools available there will most likely be sufficient for your first year or more. I’ve made many a purchase at hardware stores to keep costs down. Used tools... I’ve found some really great deals by checking in with local guilds and clubs. Enjoy, share and let me know if you have any other suggestions. What was the first "real professional" tool you bought? I think mine was a disc-cutter. I remember thinking if I just get that tool I'll really be able to make some amazing stuff. After purchasing, everything I made featured a circle of some kind. Learning to saw changed that... but more on that later. My studio is located inside Driftwood Market. Plenty of room for creativity, exploring and lots of inspiration. Please visit when you're in the neighborhood. Sonja has been featured on . . .